In the Greater Tampa Bay region, aside from the kitchen, the most renovated room in the house is the bathroom. Whether it is to reconfigure, so there is more room or to replace the bathtub or toilet. 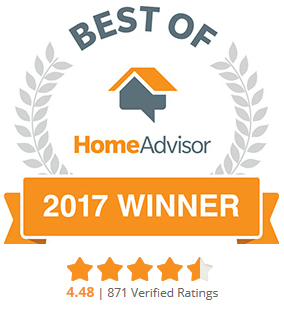 Most Tampa homeowners want a more comfortable space to get dressed in or to relax after a hard day’s work. One of the most important items in a bathroom is the toilet. 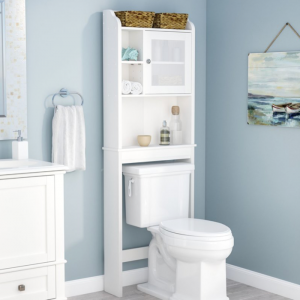 There are several options, but when you’re picking one out, you should be prepared with the basic knowledge of how a toilet works before making the decision on what to buy and have installed. New toilets are available and can be installed by the plumbing professionals at Cass Plumbing of Tampa Bay in 3 different types. They are: gravity-feed, pressure-assisted, and vacuum-assisted toilets. The most common toilets in homes & businesses throughout the Greater Tampa Bay region are gravity-feed toilets. After you’re finished using the toilet and press down on the handle to flush, gravity helps push the water down into the bowl to remove the waste. Freshwater starts filling the tank as the flush valve empties. As the water increases, the float ball rises, cutting off the water once it gets to a certain level in the holding tank behind the toilet. The waste is washed down the drain into the sewer pipe. The gravity-feed toilet was first invented in the mid-1800s. Its tank was hung on the wall with a water pipe leading down to the toilet. This design used gravity to gave it the necessary power to flush away waste. There was a pull cord that hung from the water tank with which to flush the toilet. 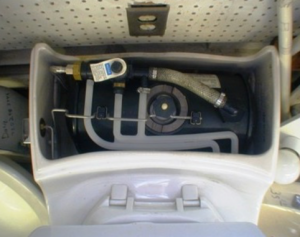 Older gravity-feed toilets use up to seven gallons of water, depending on the model. 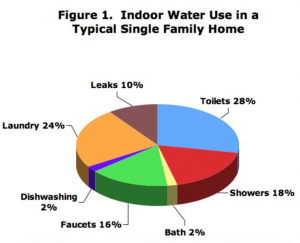 On average, flushing the toilet accounts for slightly more than 25% of the total water usage in most Tampa Bay households. In 1992, the federal government mandated that toilets should use no more than 1.6 gallons of water per flush to help conserve water. However, many manufacturers began to make design improvements to provide a better flush to eliminate waste. Water tank outlet holes, more formally called the flapper valve, were made wider to increase the water’s flow into the toilet to help get rid of waste. The hole, the tramway, was also widened to prevent clogs. These designs made low-flush toilets work much better than when they first came out in the mid 1990’s. New designs have made modern toilets even more efficient, with some models only using 1.28 gallons per flush (GPF), or less. This is the second, less common type of toilet which exists. Most pressure-assisted toilets found in the Tampa Bay Area are in hospitals & restaurants due to their cost. This is also a good choice if you have a large family. The flush of this toilet has a loud whoosh sound because the water is stored in a sealed tank. The pressurized air helps force the water into the toilet. To sweep the waste down through the main drain line. It is important to check the water pressure in your home if you use this type. To ensure it operates correctly, your home should have a water pressure of 25 pounds per square inch (PSI). If your water pressure is low and your neighbors is not, contact a plumber at Cass Plumbing of Tampa Bay to check your waterlines. There might be water leaking from pipes. There is a separate vacuum tank that holds the water inside of the porcelain outer tank. The vacuum tank connects the tramway. When the toilet is flushed, a suction is created in the vacuum tank. After you flush, the inner tank fills with water. The air at the top of the inner tank is pushed down via a tube that runs into the tramway. It creates a bubble air between the water in the bowl and the tramway that opens the drain line. The bubble of air applies a downforce to the water in the tramway, which raises the water level in the toilet. The effects give the toilet more flushing power. The vacuum-assisted toilet models that are available consume less water than 1.6-gallon low-flush toilets. Some models only need 0.8 GPF, which conserves more water than most other flush toilets on the market. 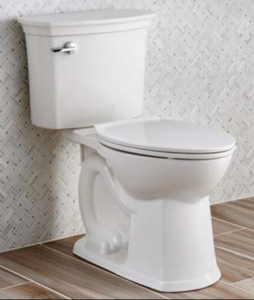 If you are tired of flushing more than once, you can purchase a dual-flush toilet. This type of toilet doesn’t operate differently, but it helps low-flush toilets work better by offering an option to flush the toilet for liquid or solid waste. Most dual-flush toilets are pressure-assisted toilets that consume small amounts of water. 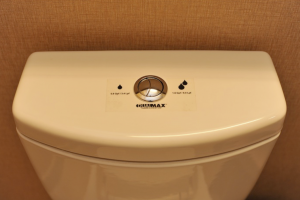 There is a button or a lever that allows users to use a partial flush to get rid of liquid waste. The partial flush uses less than a gallon of water to remove waste and refill the bowl. However, if you don’t want to buy a new toilet, older toilets can be retrofitted with a dual flush kit. The plumbing professionals at Cass Plumbing of Tampa Bay can install one for you so you can save the amount of water that you’re flushing down the drain. The standard toilet found in most Tampa Bay homes are the two-piece. It comes with a water tank that fits into the toilet’s bowl. 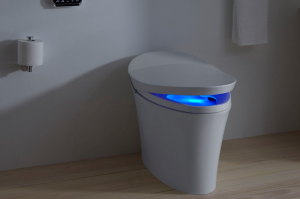 They are usually the most inexpensive option, since they’ve been around longer, and most people think of them when they are considering buying a new toilet. 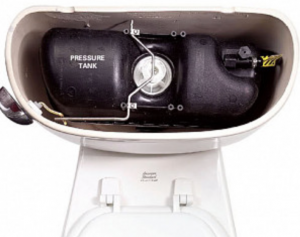 A one-piece toilet has a tank and bowl that are connected as one-piece. They are usually easier to install and clean than a two-piece toilet. They take up less room than a standard two-piece, so they are better for smaller bathrooms. Instead of mounting a toilet to the floor, you can mount one to the wall. Many businesses with public restrooms have wall mounted toilets. They take up less space and, as long as there is a water source, they can be hung on any wall in the bathroom. However, they are among the more expensive options for toilets. 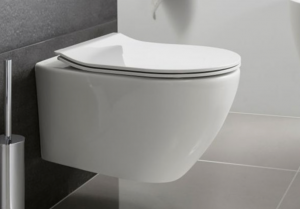 After reading this blog post, Cass Plumbing hopes that you are better informed when considering a new toilet. When you decide to invest in a new toilet call the plumbing professionals at Cass Plumbing of Tampa Bay. 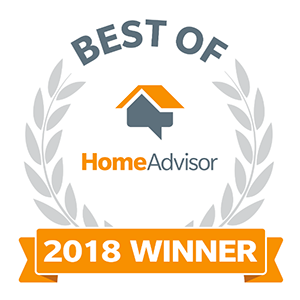 We will send a plumbing professional to your home with the toilet you want, professionally install it with a licensed plumber and discard your old toilet for you. 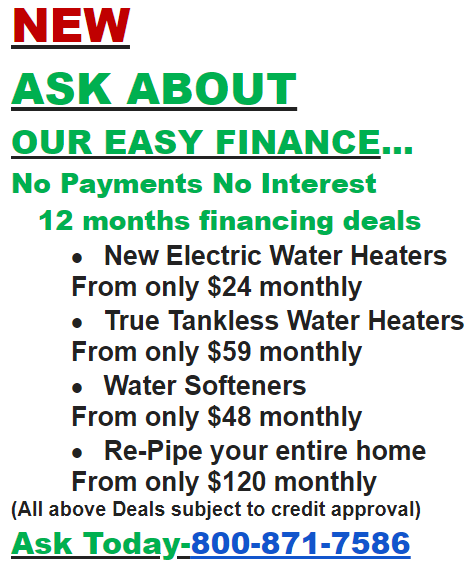 Give us a call today at: 813-265-9200.